This article has been viewed 10546 times. As with all seasons there is a new load of seasonal goods that are harvested and in bounty, the winter is no exception. Why not take the opportunity to optimize your health this Christmas season by integrating some foods that will fight the flu and other winter viruses. The idea is to boost your immune system, to give it the optimal opportunity to fight all the germs and viruses that it may come in contact with this winter season. Although winter is not the most bounteous time of year for a vast variety of fruits and vegetables there still are plenty of choices to work with. Look at your holiday menu and see what side dishes you can add that will fortify the nutrient content and complement your main dishes. Brussels sprouts are a great source of vitamin C, practically 50%, they also are a great antioxidant. 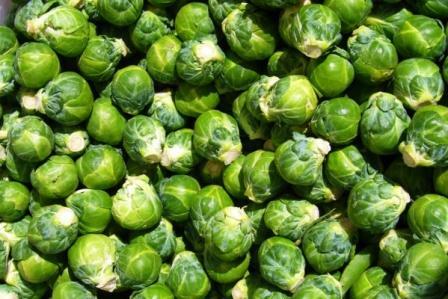 Scientist have determined that a small portion of six Brussels sprouts will fulfill the suggested daily requirement of vitamin C. There are many simple and delicious recipes that really magnify the beauty and taste of this vegetable. Cabbage is a great cold fighter, especially the red cabbage. Cabbage is an all around winner, its very versatile and inexpensive. Add cabbage to a soup, a salad or just create a solo side dish. The great thing about cabbage is that it is packed full of an ensemble of vitamins; A, B6, C and K.
"Chestnuts roasting on an open fire..." we all know the song but do we recognize the power behind the chestnut? Most likely not. Chestnuts have many grade A qualities such as being a great source of magnesium, potassium, iron and vitamin B. This year instead of just singing about chestnuts stick it on your grocery list and add it to you holiday festivities. Garlic makes everything taste better and is available year round. It is easy to add garlic to most meals. Garlic is a super food! The properties of garlic help in the fighting of cancer, heart disease and it is a great anti-inflammatory. Analyze your meals this holiday season and see where you can utilize the available vegetables that will optimize your health. Create and enjoy a Christmas meal that will taste great and fight the flu.